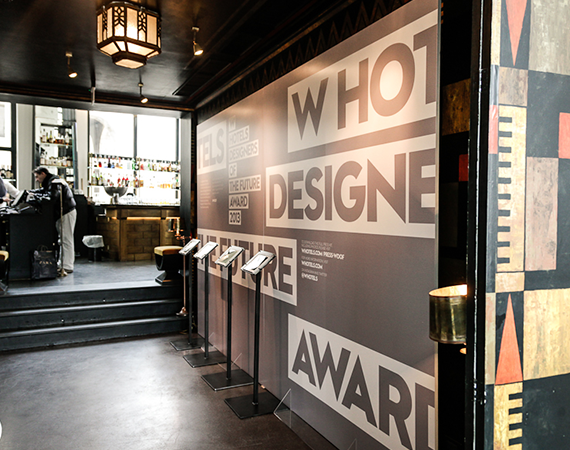 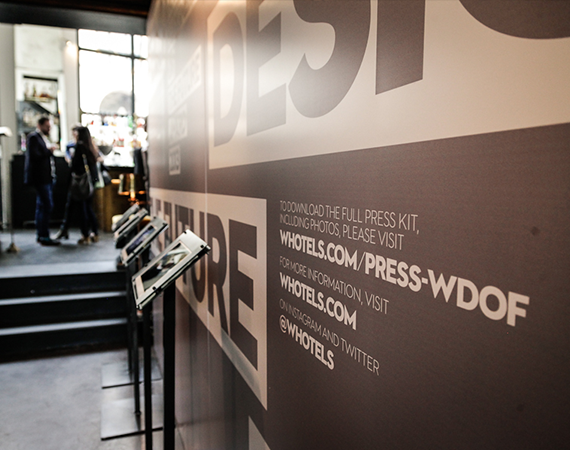 This event was to honor a select group of promising young designers and studios that exemplify new directions and innovations in design culture. 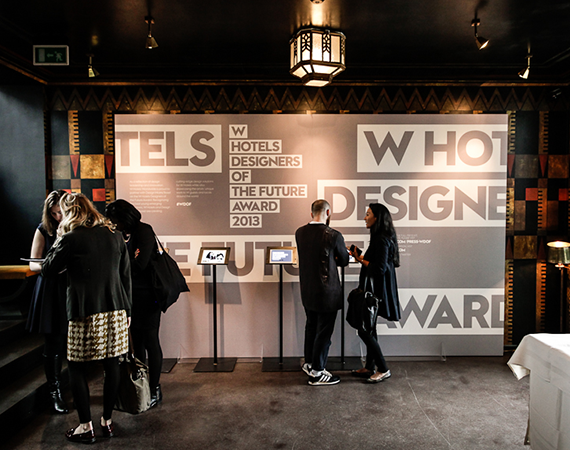 These young visionaries work beyond pure product design and represent conceptually or technologically vanguard approaches, often assimilating ideas from multiple disciplines. 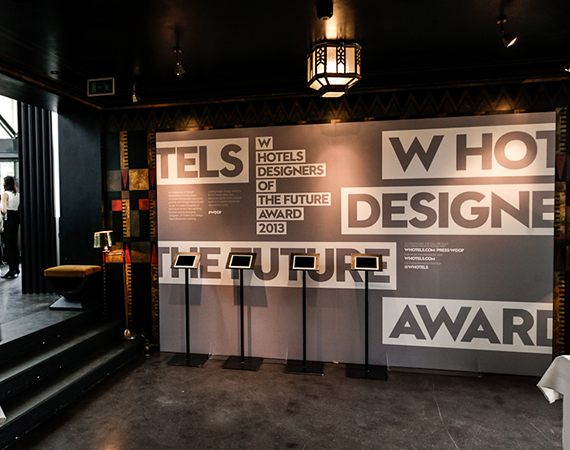 The designers were given the opportunity to present newly commissioned work to an audience of powerful collectors, dealers and journalists at Design Miami/Basel, as well as at select W Hotels globally. 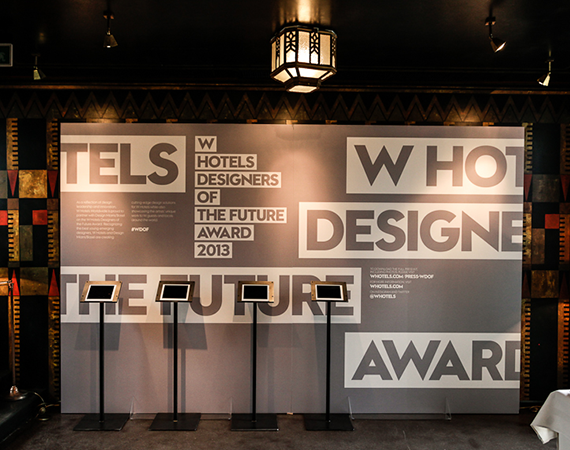 The environmental design featured an interactive wall with IPADS displaying work by the young designers and information about the Designers and the program.